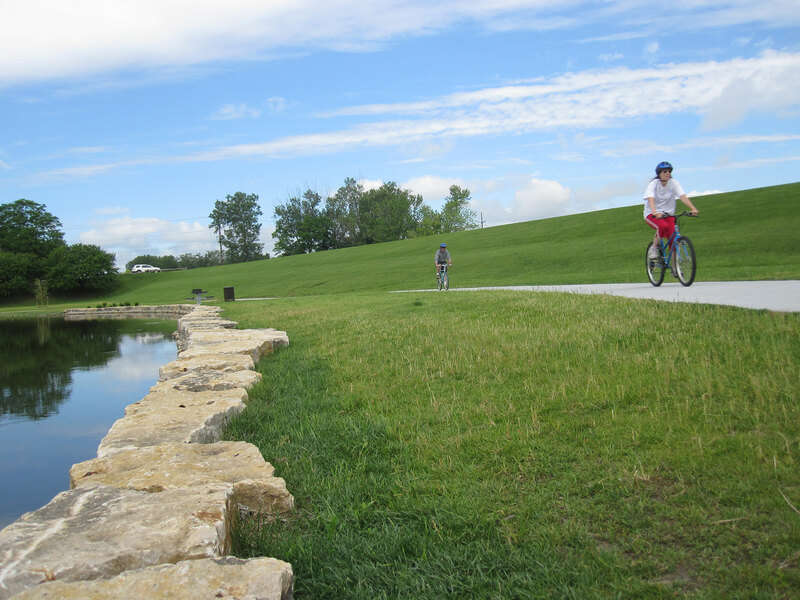 An old oxbow of the Missouri River, sets the backdrop for Big Lake Park, located in Council Bluffs, Iowa. 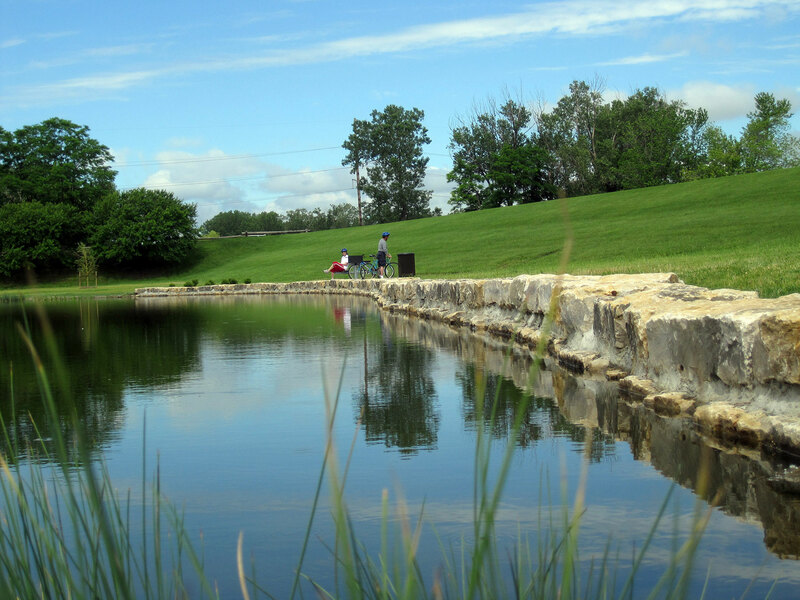 Bordered to the east and west by rail lines, nearly one-third of the original lake was drained for development of a park with picnic grounds, swimming and boating. 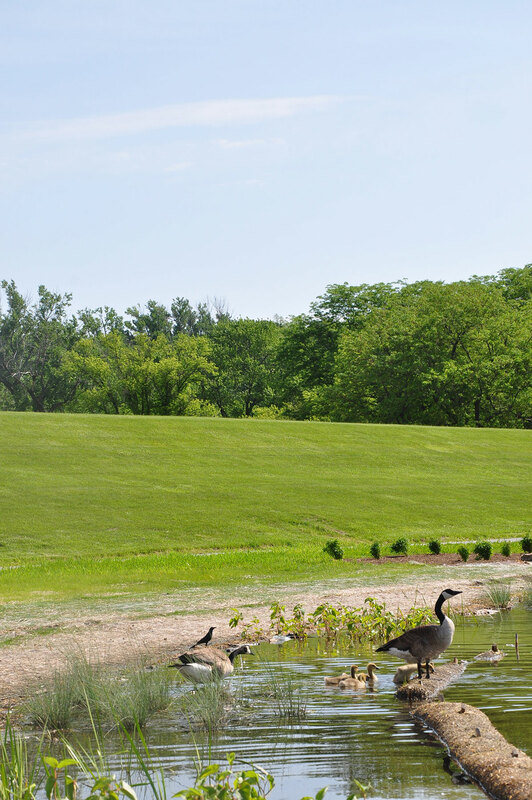 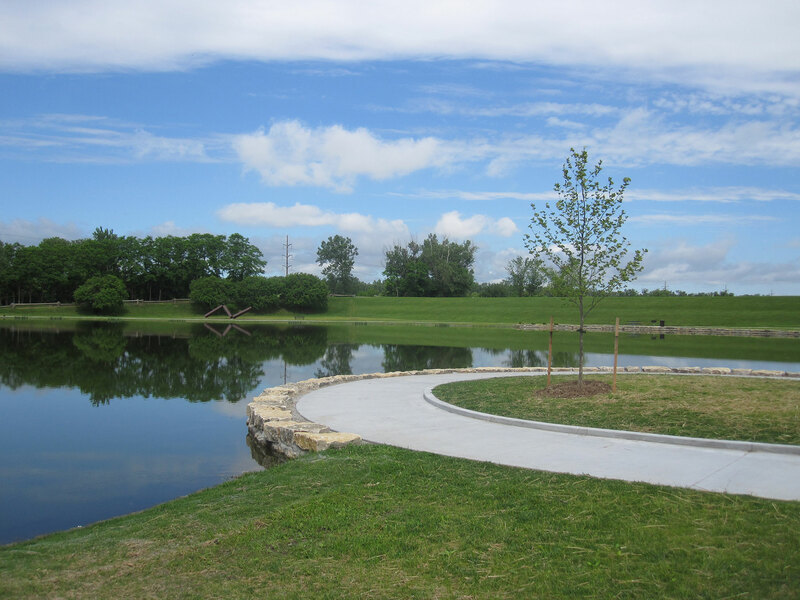 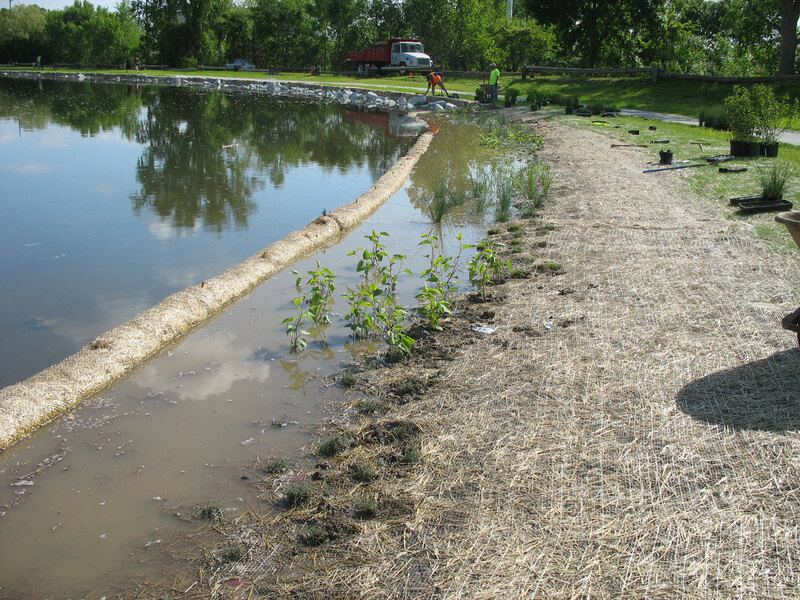 The driving concept of the park focuses on the environmental systems that support the park, hydrology and habitat. 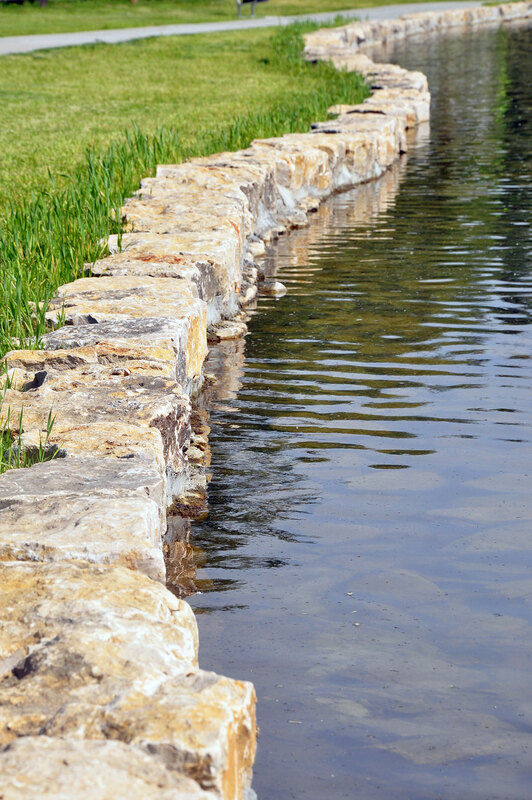 Big Lake Park is defined by the three large water bodies East Lake, West Lake, and Big Lake, but is also influenced by Mynster Springs. 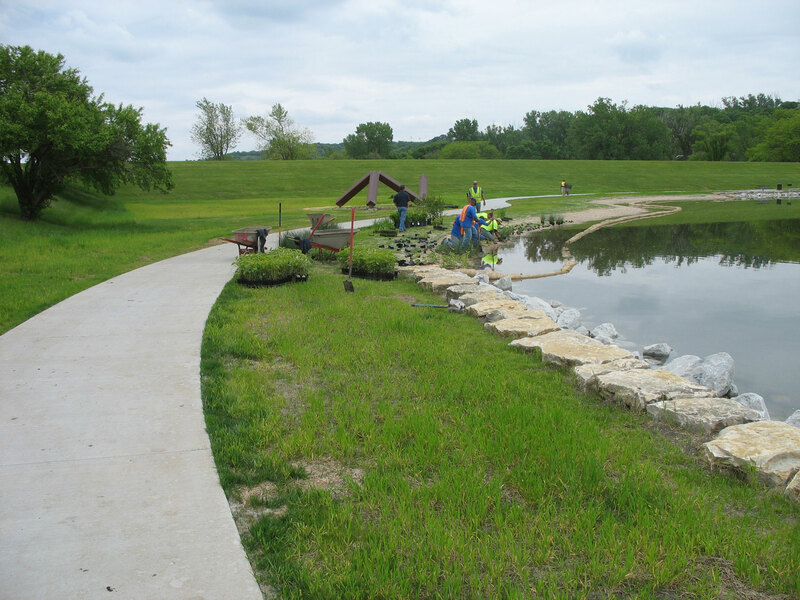 The presence of relatively diverse ecological communities in an area of a little over one hundred acres is something to be celebrated and expanded on, presenting a myriad of opportunities for environmental educational programs. 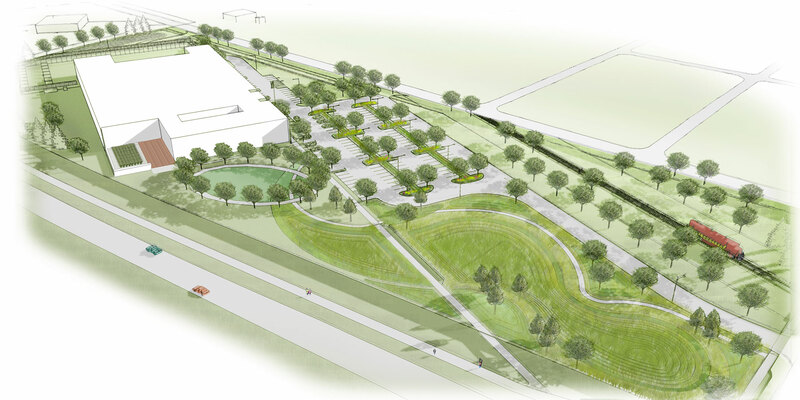 Low impact design features include an elevated boardwalk, minimal canoe launch, and vegetative shoreline improvements. 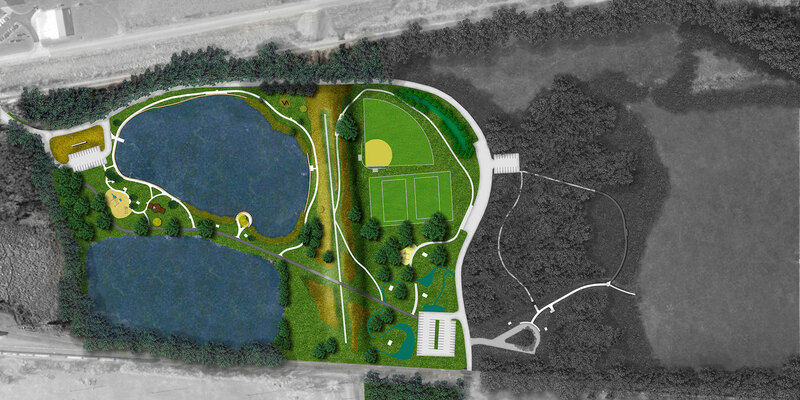 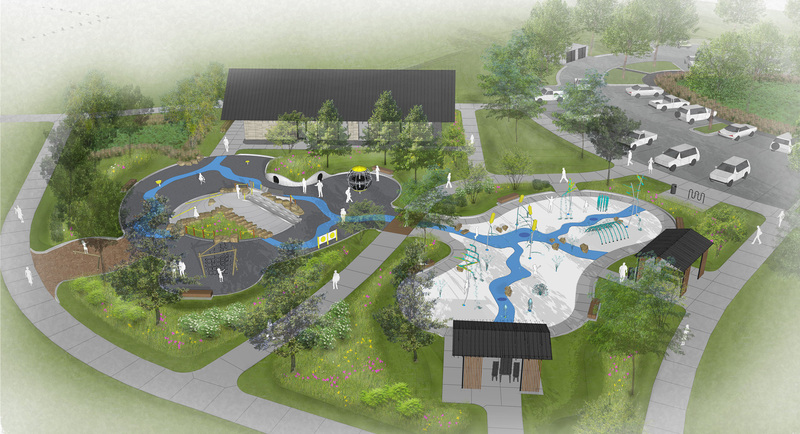 Design elements focus on connecting site visitors with the unique environmental aspects of the site including the adjacent limestone bluffs and site hydrology in addition to increasing access for recreational programming such as fishing, hiking, and canoeing.